Vintage heraldry vector with antique design elements to start your design. 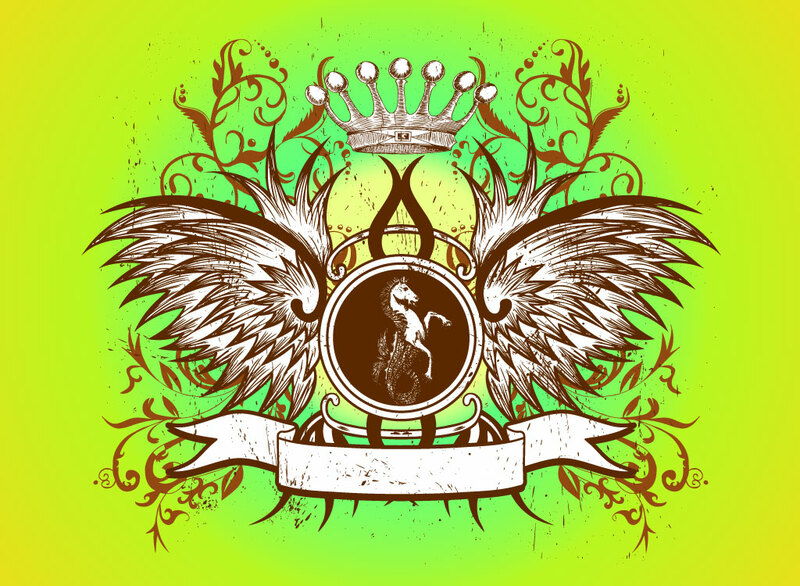 Heraldic style vector illustration with a classic seahorse illustration as a center focus and a combination of wings, crown, scrolling filigree and ribbon style banner. This free download features medieval brown and white graphics set on a green and yellow radial gradient background image. Tags: Banner, Heraldry, Horse, Legends, Medieval, Ribbon, Seahorse, Wings.